The window does not maximize. This is a GUI issue. 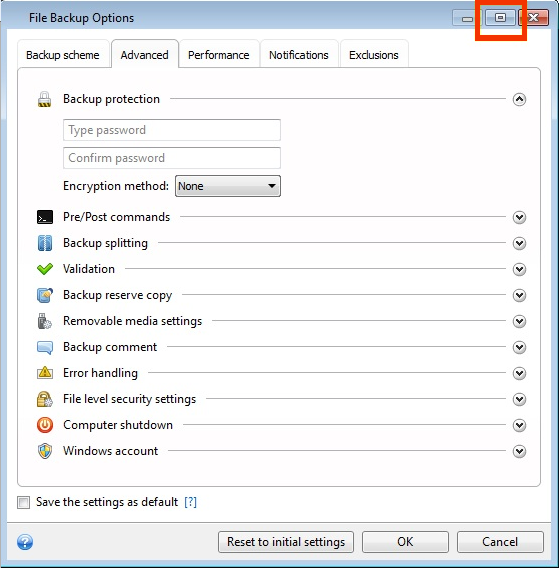 The backup settings window is not supposed to be maximized.